Also- thanks for keeping keeping the records and posting the results for the series! Due to unforeseen developments, Merrell will not be hosting the last IN HOPRA race of the season as planned. Instead, the last race will be held at Tmac's on the Brystal Cobra track and hosted by Dwayne. We'll be handing out race plaques to the Top 10 finishers for the season. Just 2 weeks 'til the last race of the season! Who's gonna tame the Cobra? One week away... the last race of the season. Who's gonna take the #1 spot? 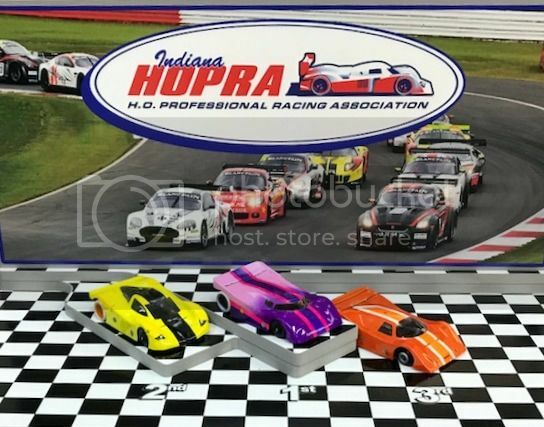 Another IN HOPRA racing season is now complete. Thanks to all who participated during the course of the season. 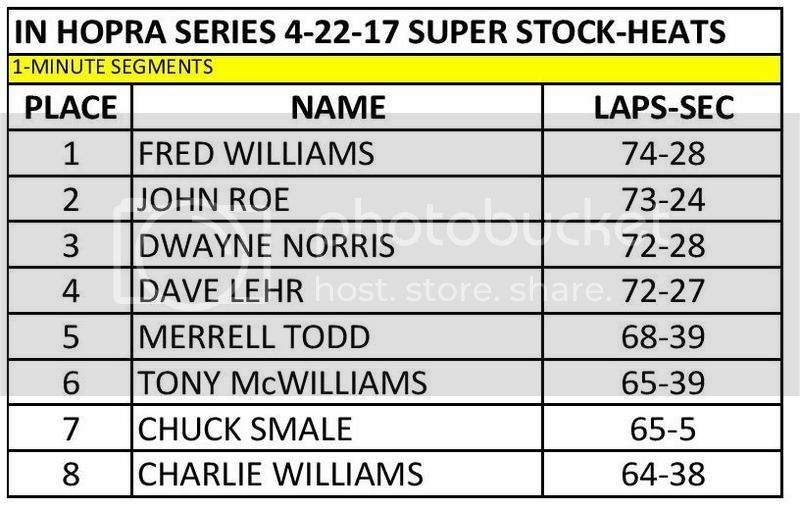 The results from race #8 are below. 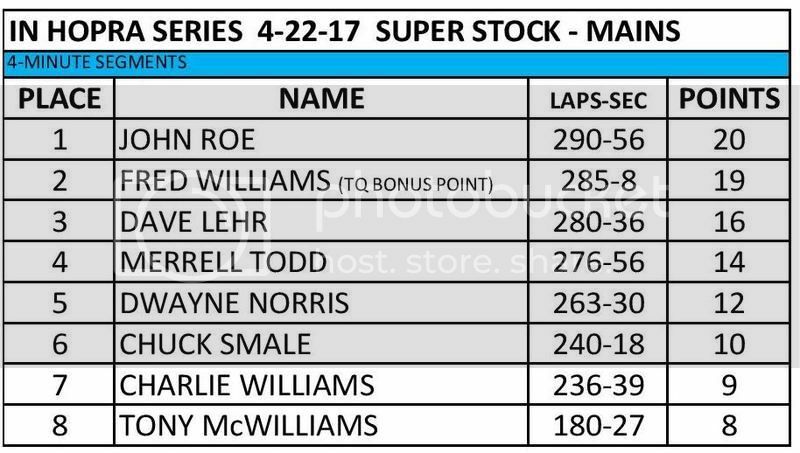 You might notice the IROC results are missing... that's due to yours truly forgetting to get a printout. Suffice to say that Tony McWilliams won and everyone had fun racing the GT40 901s on the Cobra. The final standings are also below. The Top 10 finishers received/will receive box plate awards for their race boxes or wherever they choose to mount them. 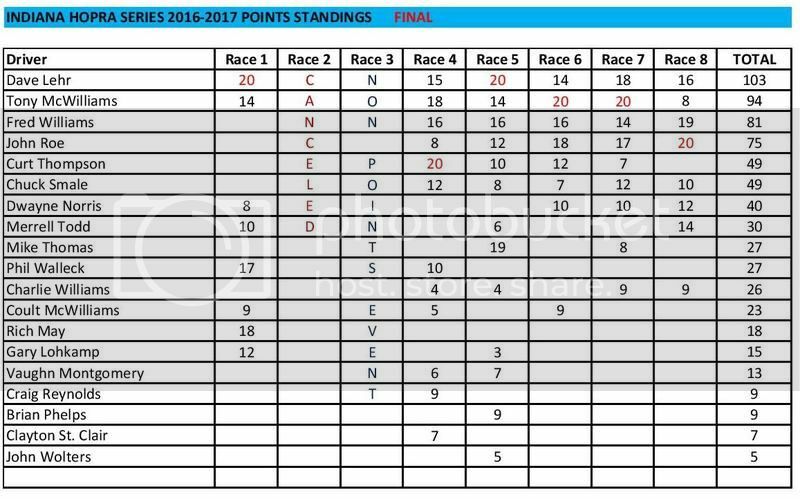 Due to some close racing, you'll notice we had a few ties in final points. As in the past, the tie-breaker is the highest points finish. Have a great summer and good luck to all those who are attending the HOPRA National Championships at Lucky Bob's, June 20-24. Thanks to all who participated. It was a great deal of fun, however, now I have to rebuild my car. May have to work on getting some newer cars and updates. Great racing everyone, congrats on another great season!